Keyword research is a fundamental part of SEO. It allows you to gauge the popularity of topics in your niche, helps you get a deeper understanding of your audience, and enhances your content to a great extent. For that reason, having a reliable keyword research tool is a must if you want to rank higher in search engine result pages (SERPs). Here are the 8 best keyword research tools that are totally worth your time! A free AdWords tool for advertisers, the primary use of Keyword Planner is to help advertisers research profitable keywords for PPC campaigns. But Keyword Planner can also be used effectively as an SEO tool to research organic keywords. See how a list of keywords might perform, and even create a new keyword list by multiplying several lists of keywords together. Google’s Keyword Planner is one of the best free keyword research tools in the market. Data obtained from this tool can help you create compelling content on a consistent basis. If you’re aiming to dominate search engines with your content, you’ll need a tool like SEMrush by your side. Perform In-depth Organic Research – Gather key information like search volume, new organic competitors, competitors’ best keywords, position changes of domains in organic search results, etc. Find Related Keywords and Phrase Matches – SEMrush also analyzes the common keywords found on the top 100 domains for a search term on Google and Bing. These related keywords come with synonyms and other suggested variations. Research Long Tail Keywords – Keywords with the highest search volumes tend to have the fiercest competition. As such, it’s always wise to aim for long-tail keywords as the competition is significantly low, helping you rank high in SERPs much faster. SEMrush collects all keywords that have a search volume of at least ten queries per year. Side note: SEMrush is a powerful digital marketing software that can help you with more than just keyword research. Read our full review of the software, or start your 14 day free trial to test it out for yourself! KWFinder is an easy-to-use keyword research tool that can generate tons of short and long tail keyword ideas in any niche. You can also use KWFinder’s Autocomplete and Questions features to generate even more unique keywords. Since its launch in 2014, KWFinder has slowly risen in popularity and has garnered a stellar reputation in the SEO community. 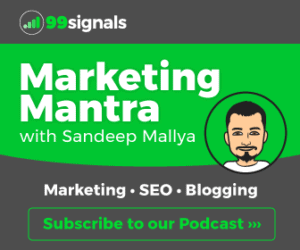 It is now a part of the Mangools product suite which also includes access to 3 other tools: SERPChecker (Competitor analysis tool), SERPWatcher (Rank tracking tool), and LinkMiner (Backlink analysis tool). You can also sign up for the free plan which allows you to do 5 lookups/day and 50 keyword suggestions per search. To learn more about KWFinder and its features, check out our in-depth KWFinder review! SE Ranking is an all-inclusive cloud-based SEO software which includes a powerful keyword suggestion/research tool that you can use to obtain a fantastic set of short tail and long tail keywords. Not just that, but you can drill down to detailed statistics on the selected keywords: monthly search volume, KEI (keyword effectiveness index), competition, suggestion bid, etc. You can see the complete list of websites in SERPs and advertisers by clicking on the ‘See all’ button below. Similarly, you can click on ‘See all’ next to Similar keywords to expand the list of similar keywords. 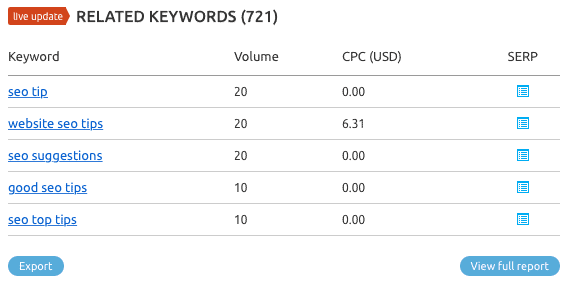 Likewise, you can click on ‘Show all ads’ to examine more PPC advertisers for the seed keyword. The keyword suggestion tool is completely free to use during the trial (link below) and is a part of all the pricing plans. Serpstat is a powerful SEO and PPC platform which also has a nifty keyword research tool. Serpstat allows you to quickly find all the common keywords you and your competitors are ranking for. 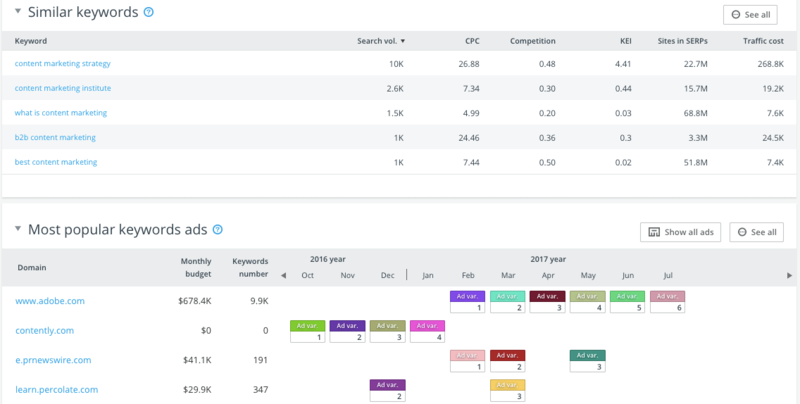 Furthermore, you can uncover new keyword opportunities your competitors are targeting and track positions of your site for the keywords you’d like to rank for in SERPs. Competitors’ Keyword Map – Find out what pages of your competitors’ sites rank for which keywords and on what positions. Cluster Research – Discover all search terms and phrases that are semantically connected to the queried keyword. Insights on Search Questions – Research niche questions and find ideas for creating traffic-driving content. Keyword Tool uses Google Autocomplete data to create its database of long tail keyword suggestions. Since Google’s Keyword Planner is primarily a PPC research tool used for AdWords, a few experts believe Google hides valuable, lucrative keywords that you can discover via Keyword Tool. This tool is free for the first 750+ keyword suggestions. 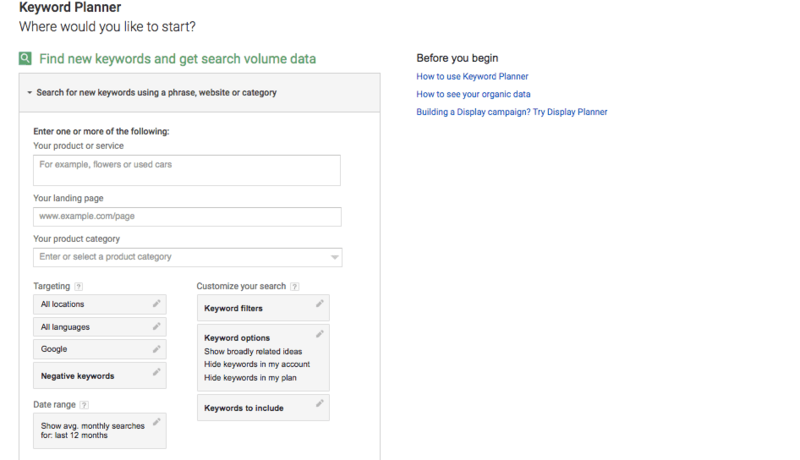 You’ll need to sign up for the pro version to see data such as search volume, CPC, competition, etc. Ahrefs is a tool primarily known for checking and analyzing backlinks. 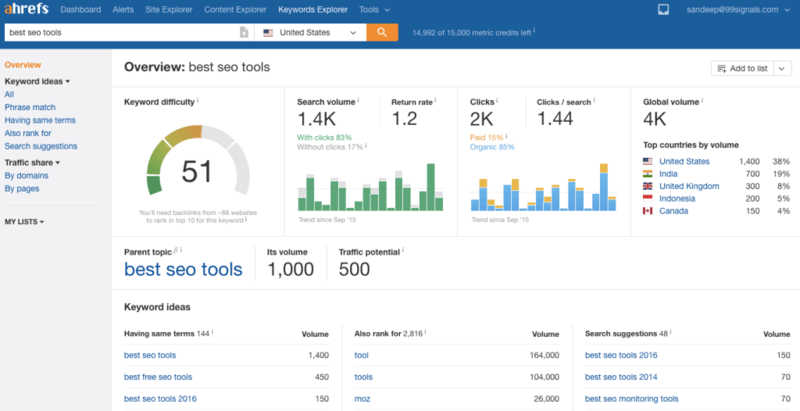 But Ahrefs also has a powerful tool called Keywords Explorer (now called Keywords Explorer 2.0) which has a database of over 3 billion keywords, helping you generate tons of keyword ideas, analyze keyword difficulty, and much more. As the name suggests, Long Tail Pro can help you find thousands of unique “Long Tail” keywords in a matter of minutes based on 1 single root keyword or multiple root keywords at once. Long Tail Pro (LTP) has a built-in Keyword Competitiveness (KC) metric which automatically calculates a simple 0-100 score using LTP’s proprietary algorithm that is consistently being tested and tweaked. The score allows you to determine the difficulty of ranking different keywords in the top 10 Google results. 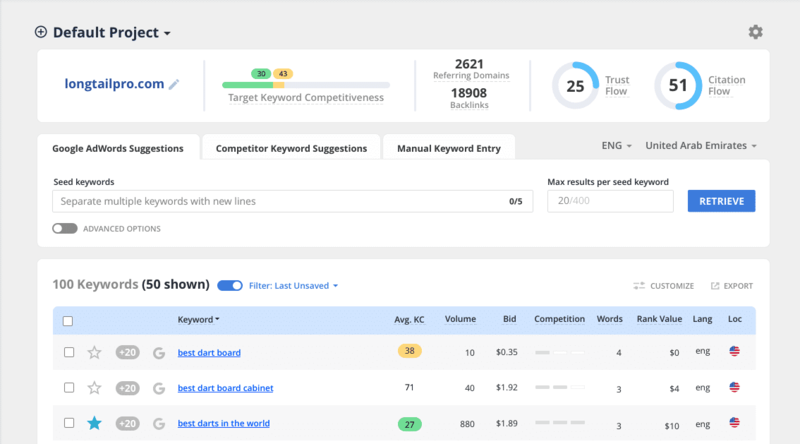 Find Easy Keywords using the unique KC feature – Leverage the Keyword Competitive (KC) feature to obtain hundreds of profitable, low-competition keywords. 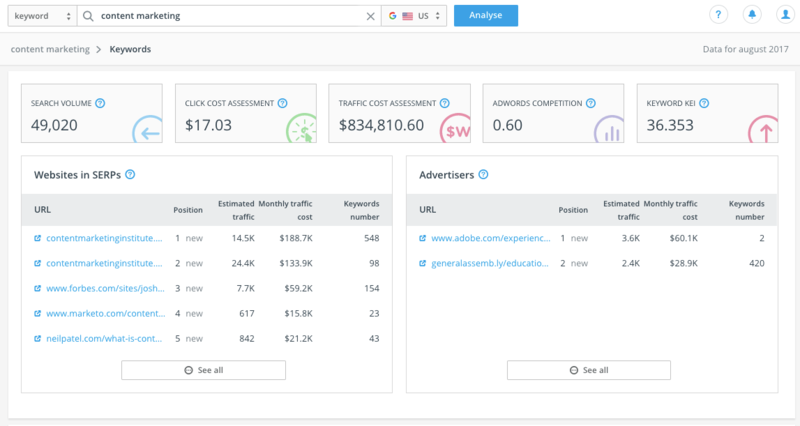 Calculate Keyword Profitability – Use the brand new Rank Value feature to determine a keyword’s profitability based on whether you’re building an Adsense Site, an Amazon site, or selling your own product. Scope out the Competition with Detailed Metrics – View metrics (powered by Majestic) to help determine domain strength, page strength, referring domains to page and domain, indexed URLs, number of links and site age. Filter, Sort, and Export Results As Needed – Export lists of keywords, competition data, top 10 Google results, and keyword metrics data. AdWords Data – Input a list of keywords and get data on competition, CPC, local/global monthly searches, and the number of words. Price: $37/month. Use code “99SIGNALS” to get a 30% discount on the total bill amount. You can start a 7-day free trial of Long Tail Pro by clicking here. So these are the 8 best keyword research tools we’d recommend to help you rank higher in SERPs. Do you have a favorite tool which we missed out in this article? Let us know in the comments section. Ahrefs is a very reliable tool indeed 🙂 Great list you have here Sandeep 🙂 Which ones have personally used? Thanks, Emmerey. I’ve used all the tools mentioned in this list 🙂 My favorites are SEMrush, Ahrefs, and Serpstat. Thanks for the response Sandeep 🙂 And for the recommendations as well. I’ll definitely make sure to check them out. Thanks, Sandeep! Great overview with important details. What do you think about also free keyword research tool as http://kparser.com? Thanks a lot, great list! I tried some of them. My favorite one is SerpStat! Such a great list, worth a read (and try) 😉 Personally, I’m using SE Ranking as I’ve never tried a better option (nearly 30 tools at one platform) for such a good price. Glad that you’ve also mentioned them! Thanks for posting such useful keyword research tools. Google trends also a best keyword research tool. Try it once. 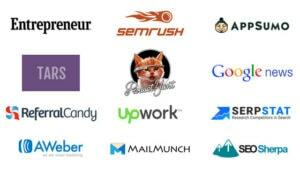 Great information.All are so useful tools and i have used SEMrush because of this article . 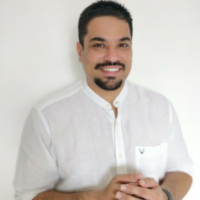 This is really helpful Blog for digital marketer.Thanks for sharing such a very important information.Thank you . This is a comprehensive list. The reality in the SEO world is that there are too many keyword research tools out there. This is probably because of the importance of keyword research. But it can be confusing to pick one tool. This post has clarified many things. Personally, I’ve used Keyword Tool many times and it provides useful keyword suggestions. Apart from this, I also find the new version of Ubersuggest a robust option. I’ll check out some of these tools. Thanks for the post.